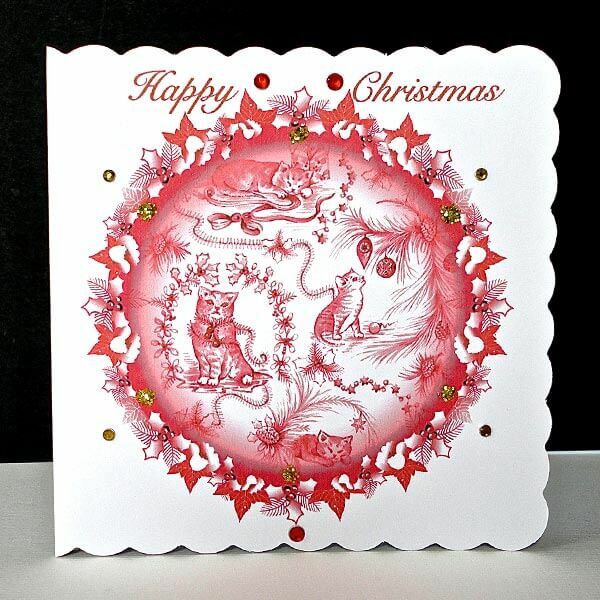 Happy Christmas Red Reindeer Sparkle – duo pack. 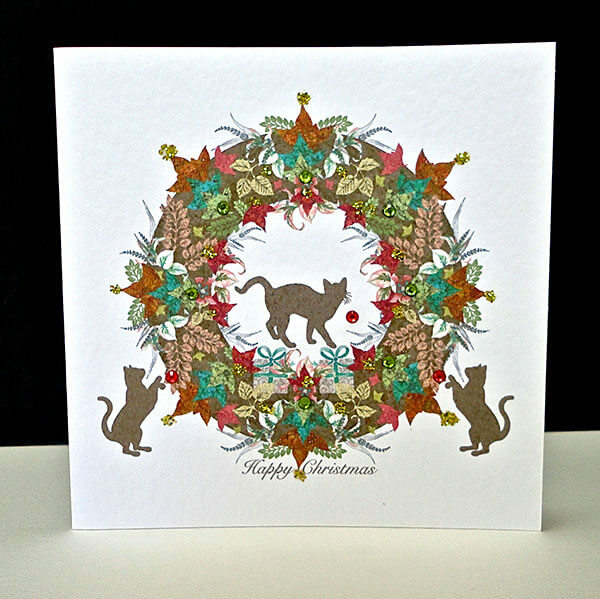 This Christmas design is taken from the printed Reindeer Sparkle printed card. 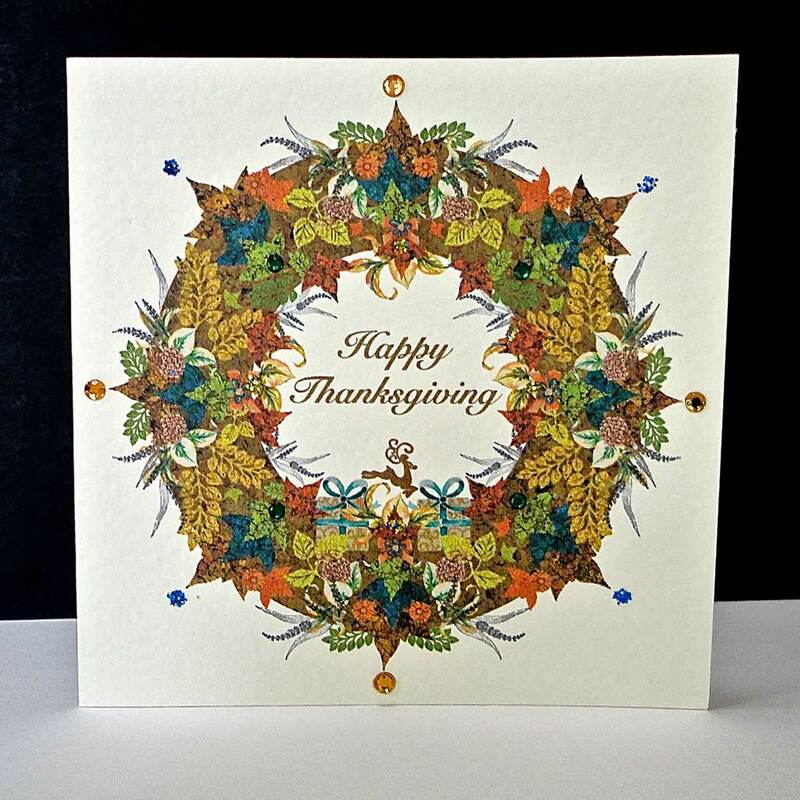 On this card the large decorative brown and red snowflake is set on white and cream background. A small prancing reindeer sits in a central circle of snowflakes, and smaller ones leap each side of the text ‘Happy Christmas’. 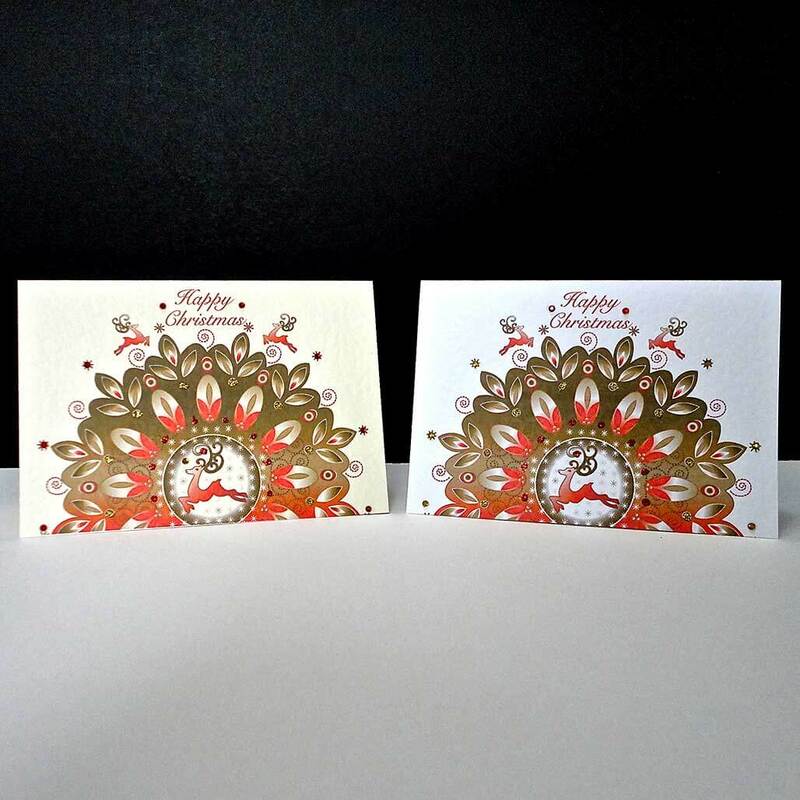 The design is highlighted with red and gold glitter and glass gems. 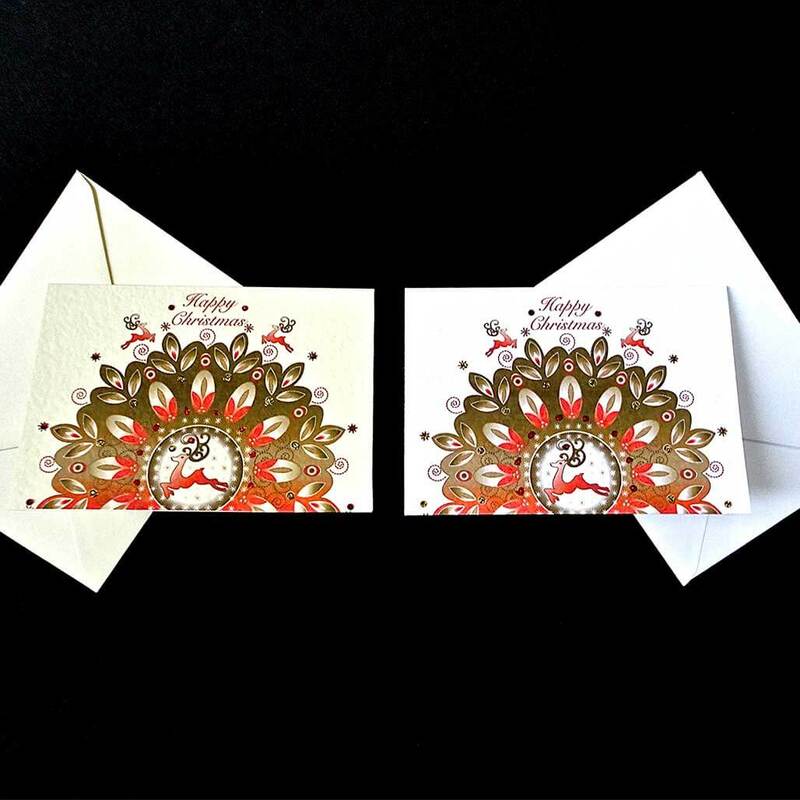 One design, two cards, one on cream and one on white with matching envelopes. 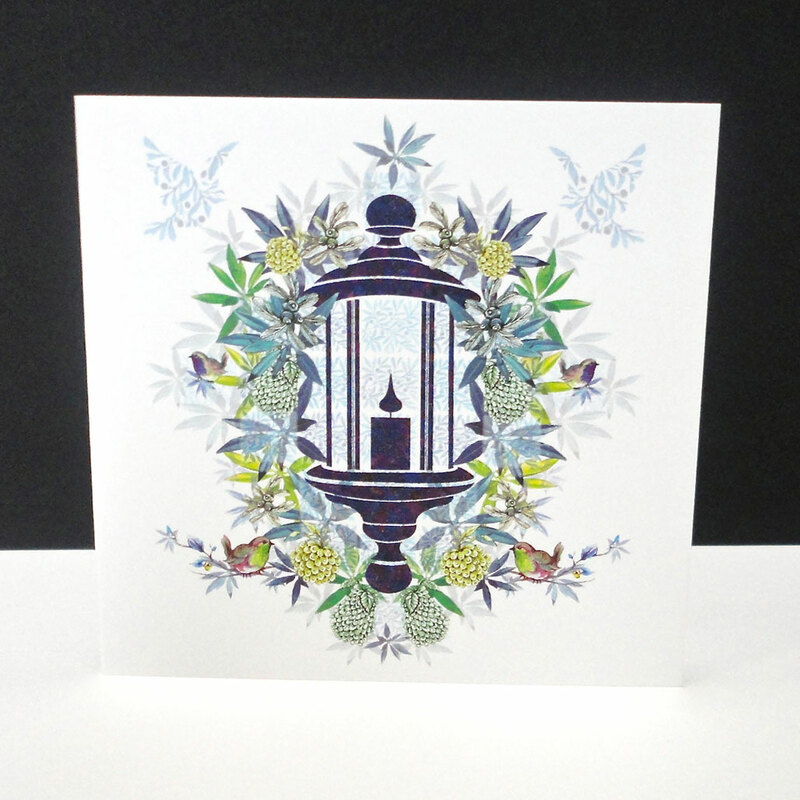 Both cards are left bland inside for your own message. Size 150 x 105 mm, landscape, printed on a 300gsm card.